A Year of Being Here: Edward Hujsak: "Sorting Things Out"
"Sorting Things Out" by Edward Hujsak. Text as presented on Your Daily Poem (11/24/12). Art credit: "Eternal Hug," oil on canvas, by Jiawei Shen. 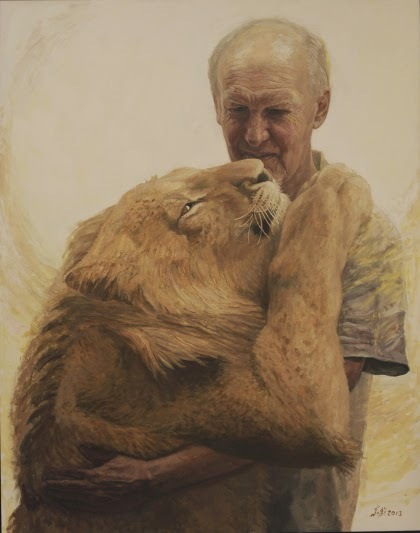 This painting portrays Australian art curator Ace Bourke and his lion friend Christian. Bourke and Christian last saw each other in the African wild in 1972, but this painting dates from 2013 and represents Bourke as he appeared at that time. 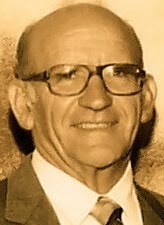 Learn more about the story of these friends here. into the light of me.